This variation on our classic varsity tee is made from pigment-dyed 100% ringspun cotton for a washed vintage look. Soft 6-ounce jersey T-shirt features a rib-knit neck; twill-taped neck and shoulder seams; and double-needle stitching on neck, armhole, sleeves, and bottom hem. 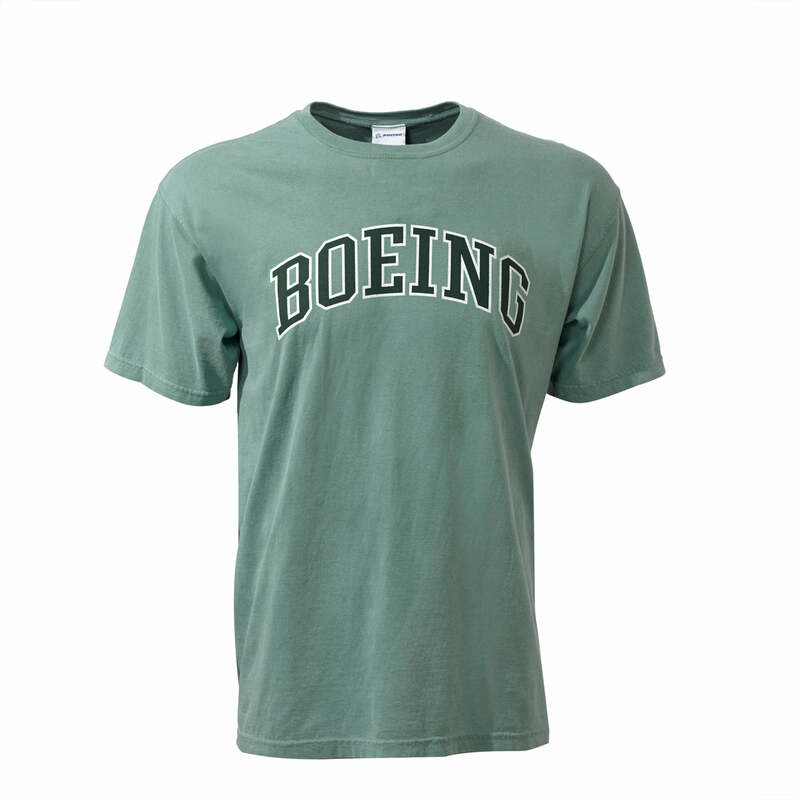 The Boeing name in varsity-style letters is screenprinted on the chest. Imported.